We received a huge range of brilliant entries that encompassed a wide variety of genres and themes. This made winning the challenge a much harder task than usual, as each entry was pitted against the strongest skill sets of each competing writer. The winning entry had to have the ultimate combination of great writing, a brilliant and original story with believable characterisations, and flow well too. For those that thought themselves up to the task, the community rallied together to give each other help, encouraging and critiquing each other's entries until they could produce the best version in the allotted time-frame. The winner of our March Challenge: Blank Pages was RJ_Urquhart with his fantastic entry A Journal of Blank Pages. RJ was kind enough to take the time to have a chat with us about his winning entry and his writing in general. WEBook: Congratulations on winning the open challenge! With so much scope for the topic of your submission, how did you decide on what you wanted to write about? RJ_Urquhart: I already had the idea of a journal of blank pages in my mind. When I saw the title of the challenge, “Blank Pages”, it was a no-brainer. WB: Your story focuses on feelings of a post-war disassociation from society, and explores the lack-of-worth that the soldiers feel when they return from the warzone. You juxtapose this very well with the child’s situation in the story, painting the characters as people in two very different, yet inherently similar situations. What were you trying to show the reader in your joining of these two characters? RJ: I don’t know that I was consciously trying to make any particular point with the juxtaposition. Once a story leaves the author, readers invest it with their own meaning, creating as many stories as there are readers. I enjoy things, places and situations that mirror each other. Mirroring crops up a lot in my writing. And mirrors invite us to see meaning. Though, of course, what we see is always ourselves. WB: The idea of bravery is explored and questioned in your story in a variety of ways. 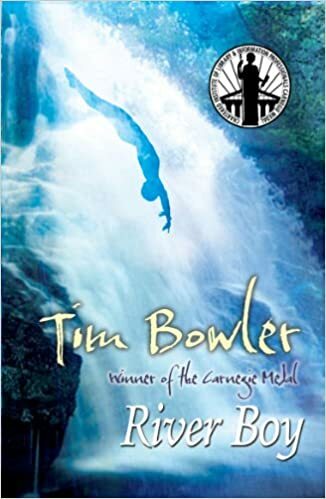 The centre point of action – the rescuing of the child – is undermined by the rejection of this as a ‘brave act’, and the reader naturally questions their own acceptance of the rescuer as a hero when given all of the facts. What are you trying to tell us about societal interpretations of bravery and heroism here? RJ: I suppose it’s fair to say I was making a point here. I’ve met several heroes in my life, and none of them have ever considered themselves heroes. They always have some other explanation for why they acted as they did. Often they are motivated by social norms, and the fear of letting others down. I find that really interesting, the way we’re prone to attach labels to things and so create them socially, even if they don’t exist. I think it was Rilke who wrote somewhere that the unicorn doesn’t exist, but there is a space in the bestiary where it would exist if it existed. And so, we bring the unicorn into existence. You could also argue that empathy, for example, isn’t the same thing as compassion, but our ability to recognise others as suffering pain like us and to experience that pain as our own. For what it’s worth, I do, like the narrator, see Spuggy’s final relinquishing of the girl as heroic. But then I’m as conditioned by social labels as anyone. WB: The question of caring, emotion and by association psychological state is also raised in the story. We can assume from the references to war and the small insights we get into his mind, that Spuggy may be suffering from PTSD. Do you think that the reader is more readily able to forgive Spuggy for his actions because of this assumed diagnosis, and if so, isn’t this a bit ironic considering the general tone of the story itself? RJ: Yes, he is suffering PTSD. The narrator doesn’t blame Spuggy, so perhaps we might not. He knows that what Spuggy did is wrong, but understands why he did it. I hadn’t considered that forgiving Spuggy might be ironic, but now you point it out, yes it could well be. I like that. I don’t know that a writer needs to be able to forgive his characters. Readers even less so. But then a character doesn’t have to be likable. They do, however, have to be interesting. All I ask of Spuggy is that he should be interesting. WB: It is seems that Spuggy’s decision to take care of the child, who has been pushed to the fringes of society, is a way of dealing with his own feelings of abandonment, rejection and worthlessness. By ‘adopting’ her, he’s able to take care of both of them, fixing his own problems as well as hers. How did you come up with this idea to emphasise the similarities between your character's situations? WB: What kind of things do you usually write, and where can we find them? WB: Who are your favourite authors, and or books? 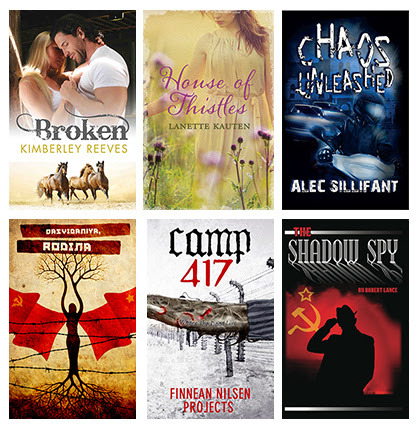 Do you take influence from these books or authors in your own writing? RJ: That’s a hard one to answer. Once I could have. I grew up in a home with every science fiction novel published in English up to the 1960s, and read them all. I had my favourites then. But these days I read a lot much more widely, and I read more as a writer and less as a reader. That means I read things I don’t really like, in order to see how the author accomplishes a particular effect. So for example, I recently read Jonathan Franzen’s The Corrections, a brilliantly written but thoroughly repellent book. Reading other writers is an essential avenue to improving our own craft. I don’t mean I want to write like them – I try to write like myself. But I do learn from them. 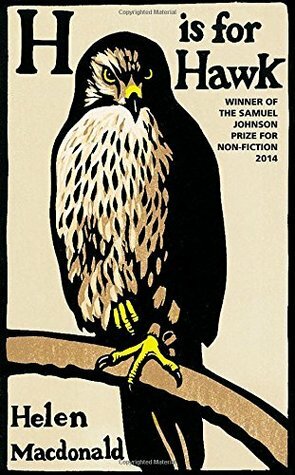 In recent years, I can think immediately of two books that have truly thrilled me – Tim Bowler’s River Boy, and Helen Macdonald’s H is for Hawk. WB: Do you have a favourite writer on WEbook? RJ: More than one. You’re going to get me into trouble with the people I don’t mention. I love Aftab’s lyricism (though he’s not writing at the moment), Lost V’s way of imagining herself into a character’s mindset, and Alina Voyce’s marriage of romance and science fiction. All three have been a big help to me with their comments and criticism, as have Spraycrayon and Grafiksad. WB: Thanks for taking the time to talk with us RJ! We look forwards to reading more of your entries over the coming months - and congratulations again on your win!